Mt. 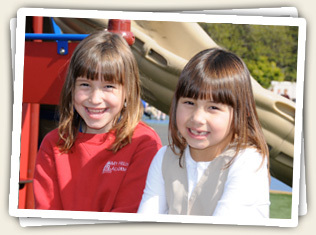 Helix Academy welcomes visitors to its facilities and especially to its program. To arrange a tour, contact the office. On arrival, you will be required to sign in at the office and receive a Visitor’s Badge, which must be worn at all times while on the school’s campus. Mt. Helix Academy’s Assistant Director, Alison Young, will give you a personal tour of our school, which will include observing classes and viewing our facilities. Mrs. Young will answer questions you may have and give you a sound explanation for the rationale behind what you see. Browsing this website will provide you with a great introduction to Mt. Helix Academy. Please understand that still photos, video, and audio recordings are not allowed unless prior permission is obtained from the parents of students who are recorded. Teachers and other education professionals who have an interest in the methods implemented at Mt. Helix Academy are welcome to visit and observe on-going lessons in the subject matter of their interest. Prior arrangement is necessary and may be obtained by contacting the school. University supervisors of professionals in training are welcome at any time that is previously arranged with their trainee. If you would like to attend one of our Open Houses, please call the school office at 619-243-1400 to RSVP.